In a rare move, the Commission on Election announced Thursday afternoon the disqualification of Emilio Ramon (ER) Ejercito from being the governor of Laguna for campaign overspending. The poll body’s first division decided on the matter, according to COMELEC Chair Sixto Brillantes Jr. In a statement posted on the poll body’s website, Brillantes noted that by spending P6 million on television ads alone for his 2013 re-election bid, Ejercito violated existing campaign finance regulations. According to Republic Act 906 or the Fair Elections Act, local bets are only allowed to spend three pesos “for every voter currently registered in the constituency where he or she filed his or her certificate of candidacy.” Hence, since Laguna has 1,525,522 registered voters for the May midterm elections, Ejercito’s spending limit is P4.6 million. Ejercito has five days to file a motion for reconsideration before the COMELEC en banc. In disqualifying Ejercito, Brillantes said the poll body hopes to show Filipinos that they are in fact determined to level the playing field in the electoral process. “Hindi po kami nagbibiro,” he reiterated, adding that COMELEC is poised to file more election-related charges against other erring candidates soon. The recent gubernatorial race in Laguna was one of the most-watched in the country. 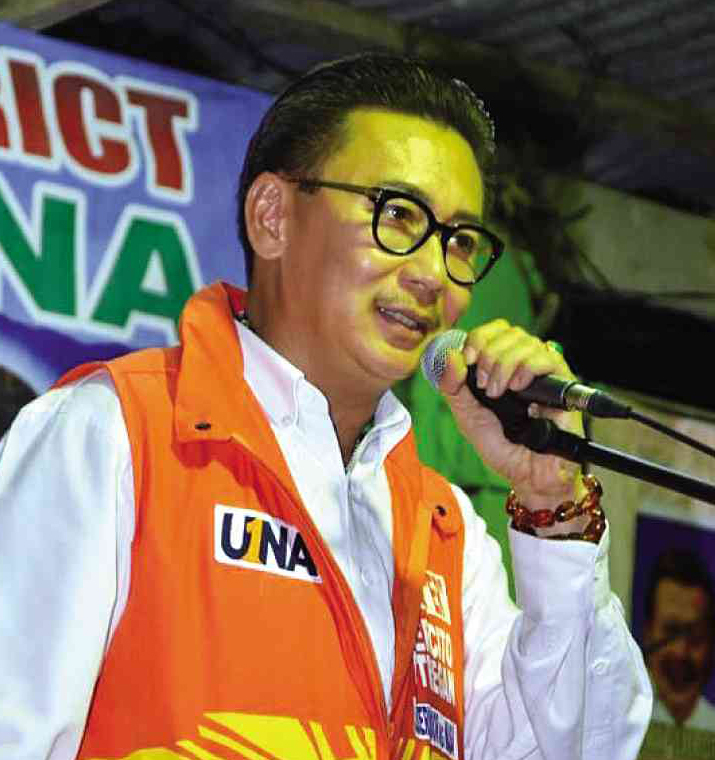 Ejercito ran under the opposition United Nationalist Alliance (UNA). His uncle, former President and now Manila Mayor Joseph Estrada, is one for the leaders of UNA. The ruling Liberal Party fielded Rep. Edgar San Luis to challenge Ejercito. Despite President Benigno Aquino III’s endorsement, San Luis lost his bid to undeat Ejercito. The implication of this move by COMELEC is not hard to see. For the longest time, people have argued that the poll body is spineless in dealing with campaign overspending. That may be changing now. Please read excerpts from our 2009 interview with Ferdinand Rafanan, who was the head of COMELEC’s Legal Department at that time, to know more about it. Despite COMELEC’s noble intentions, the move to disqualify Ejercito is bound to be tainted by politics. As an opposition stalwart, Ejercito is expected to fight out his disqualification. Late last year, two UNA-aligned governors, Gwendolyn Garcia of Cebu and Amado Espino of Pangasinan, was suspended due to administrative charges. Understandably, both claimed being subjected to persecution. Ejercito’s disqualification comes shortly after his cousin, Senator Jinggoy Estrada, was implicated in the still-unresolved pork barrel fund scam. Interestingly, in a privilege speech yesterday, Estrada denounced what he described as the Commission on Audit’s ‘selective’ targeting of opposition figures linked to the scandal (more about this on a future post).